Sports Events in Raleigh, N.C. | NHL Carolina Hurricanes, College Sports, North Carolina Courage, North Carolina FC, Carolina Mudcats and More. Game on! 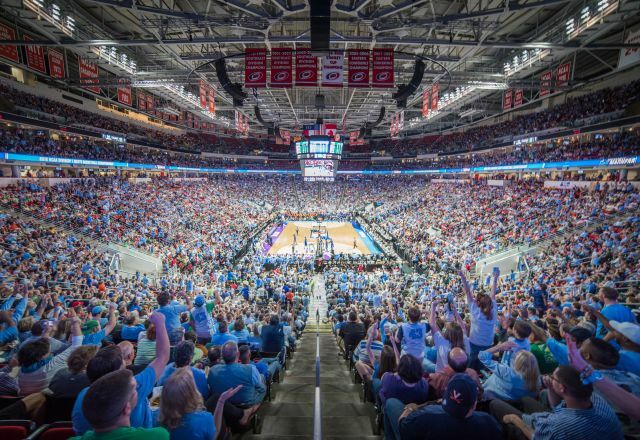 Raleigh, N.C., is home to non-stop opportunities to catch spectator sporting events. You’ll be able to cheer on the NHL Carolina Hurricanes, the Atlantic Coast Conference&apos;s (ACC&apos;s) North Carolina State University Wolfpack football and basketball teams (plus teams in other sports), North Carolina FC (pro soccer), North Carolina Courage (pro soccer), Carolina Mudcats (pro baseball), Flyers (Ultimate) plus more teams on your visit to Raleigh, and maybe even get in on some of the action yourself at some of the events listed here!